career began in 2000, he has finished second in the Swiss Rally Championship standings on no fewer than five occasions. Since 2011, he has been driving for the Lugano Racing team and in that time, he has seen a succession of teammates and rivals pip him to that elusive first national title. Most notable among them was Sébastien Carron, who claimed three Swiss Rally titles over the past four years. Ballinari has tried a number of different cars during his time with Lugano Racing to try and find the vehicle that was perfect for him. There were some great individual results in a Peugeot 207 S2000 and a Ford Fiesta R5. 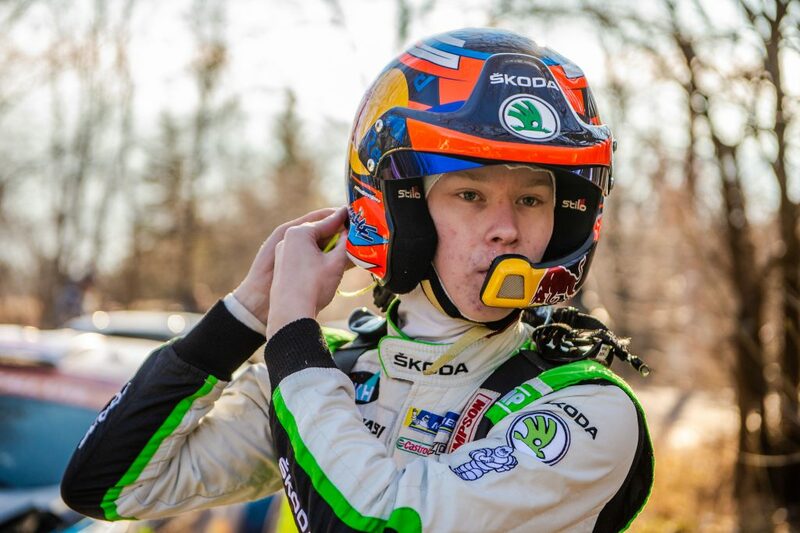 He even drove a couple of rallies in a ŠKODA FABIA S2000 back in 2013. But somehow things never quite clicked. Then this season, Ivan Ballinari switched to a ŠKODA FABIA R5 for the first time. The results were instantaneous. The Swiss Rally Championship began back in March with the Rallye National Pays du Gier in Saint-Chamond, just across the border in France. 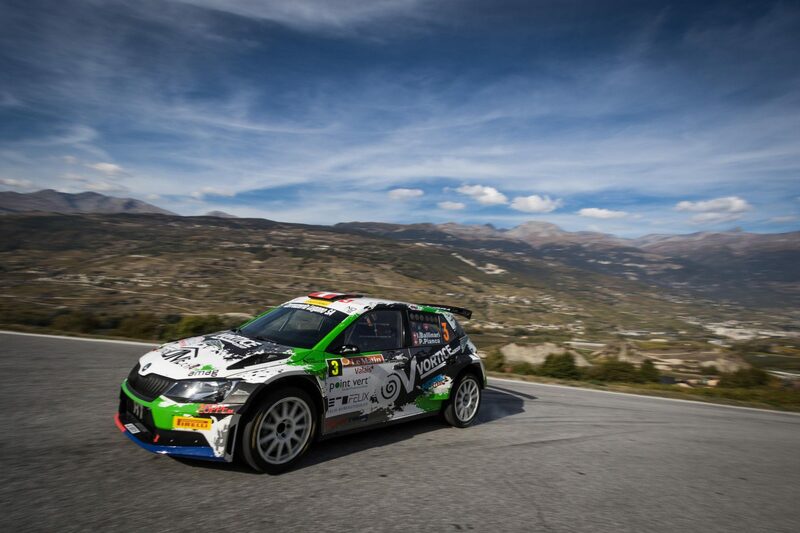 It was the first time that Ballinari had driven the FABIA R5 competitively. It would not have been unreasonable to expect him to need a little time to adapt to the new vehicle. Not a bit of it! Competing against a huge field, Ballinari was immediately on the pace and fought hard with his rival Carron at the top of the field. His persistence was rewarded when Carron crashed out on stage six, leaving the way clear for Ballinari to secure victory by a comfortable margin of 2 minutes 23 seconds. 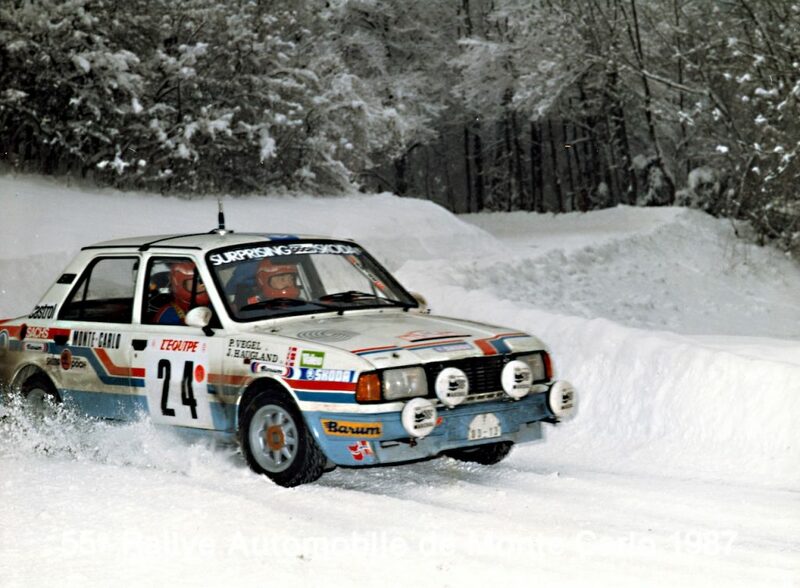 Unexpectedly, that rally was to be the last that Carron would compete in. 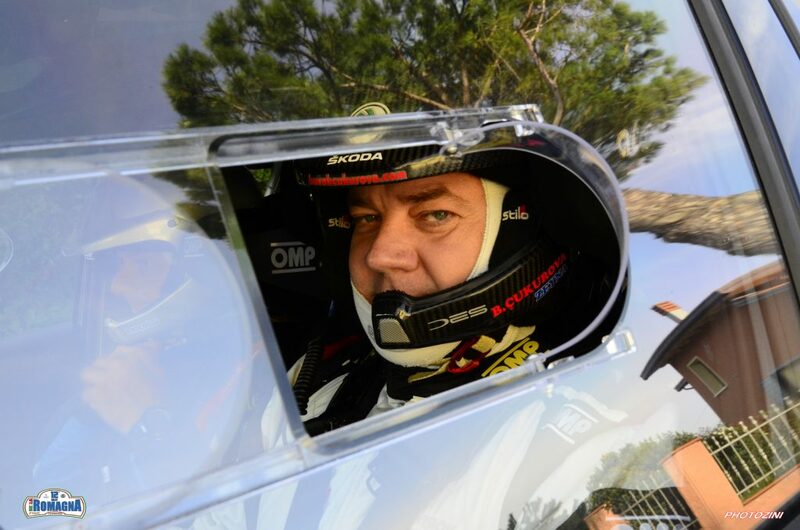 Although he escaped the accident unhurt, it clearly left him shaken and a few days later he announced his retirement, suggesting that at the age of 40 and with a family, he didn’t want to run the risks of rallying anymore. His decision left the Swiss Rally Championship race wide open and Ballinari was in pole position to capitalise. 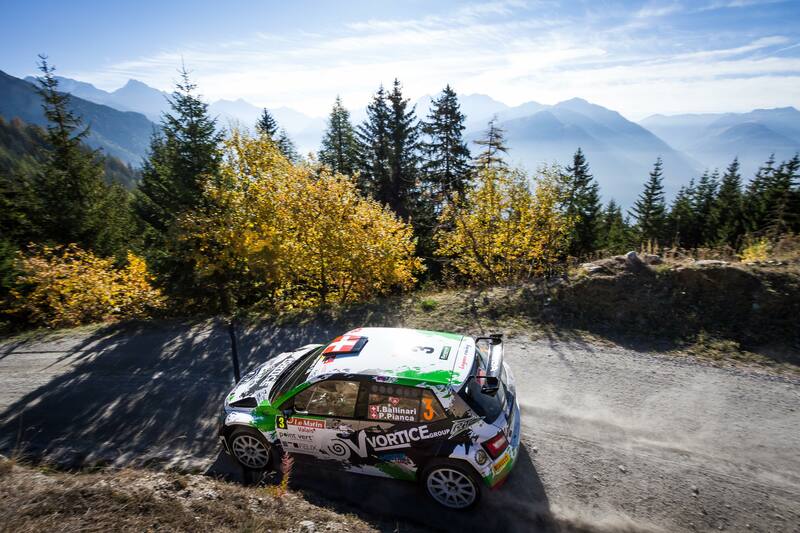 After being one of just two FABIA R5s competing in the opening round, Ballinari found himself up against no fewer than three other ŠKODA’s in the next rally, the Critérium Jurassien. In a tight race, all of them managed to finish in the top five. This time though, it was Michaël Burri, driving a FABIA R5 for the D-Max Swiss team, who took the victory, leading from start to finish and only finishing outside the top two on a single stage. Ballinari was hot on his heels throughout but never quite managed to close the gap and ended up 20.6 seconds behind in second place. 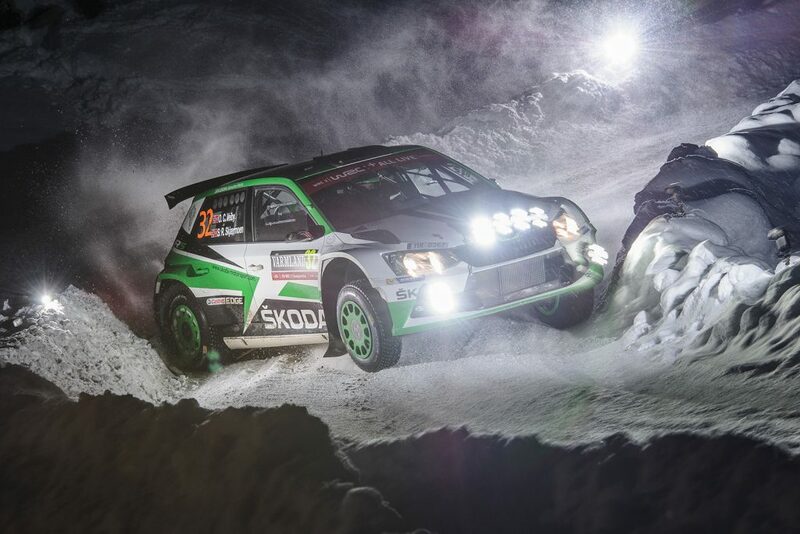 His teammate and fellow FABIA R5 driver Nicholas Althaus completed an all-ŠKODA podium. Next up was the Rallye du Chablais, but ahead of that event it looked like Ballinari’s bad luck might have struck again. He was hospitalised with a herniated disc and try as he might, was unable to get himself fit enough to drive. In his absence, Steeves Schneeberger took advantage to claim a victory that elevated him into the title race too. Fortunately, a two-month break before the fourth round of the Championship meant that Ballinari was fit enough to make the short journey to Santo Stefano Belbo in Italy for the Moscato Rally – Rally delle Langhe and resume his push for that maiden title. 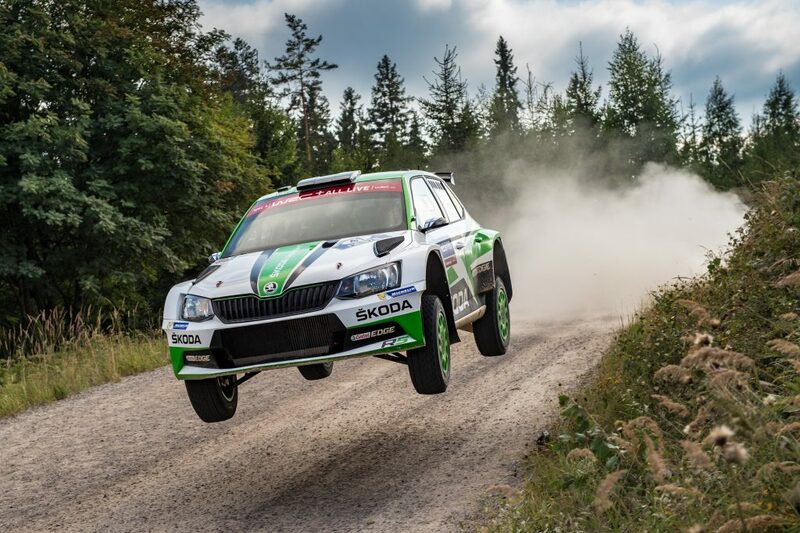 The rally was dominated by FABIA R5s once more, with each of the top 4 positions in the final overall standings being filled by ŠKODA customer teams. 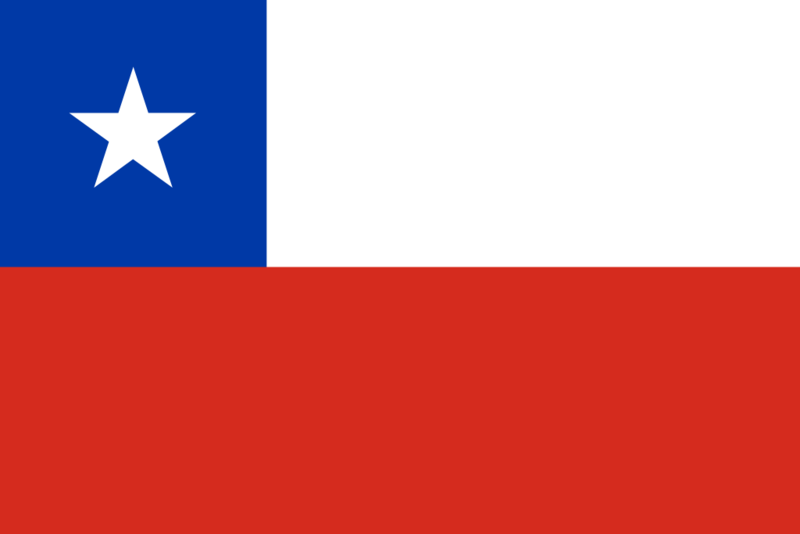 While the Italian Elwis Chentre took overall victory for the New Drivers Team, Ballinari finished second overall and crucially top of the Swiss standings, 48.5 seconds clear of his closest rival. With just two rallies to go, Ballinari sat at the top of the leaderboard, but with teammates Schneeberger and Althaus still in contention. 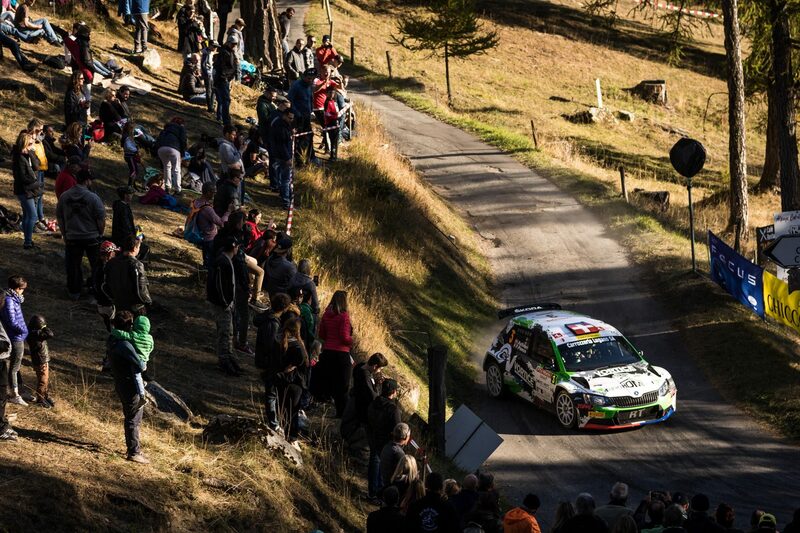 The next round was the 6-stage Rally Ronde Internazionale del Ticino and with WRC-powered cars permitted in this rally, it was always going to be tough for a FABIA R5 to secure overall victory. Ballinari had a good try though and won the opening stage before finished third overall, behind two WRC cars, and just 38.2 seconds behind the winner. Once again though he secured maximum points by finishing top of the Swiss standings, pipping fellow FABIA R5 driver Michaël Burri by just 2.5 seconds, with two other FABIA R5’s in the top 5 as well. 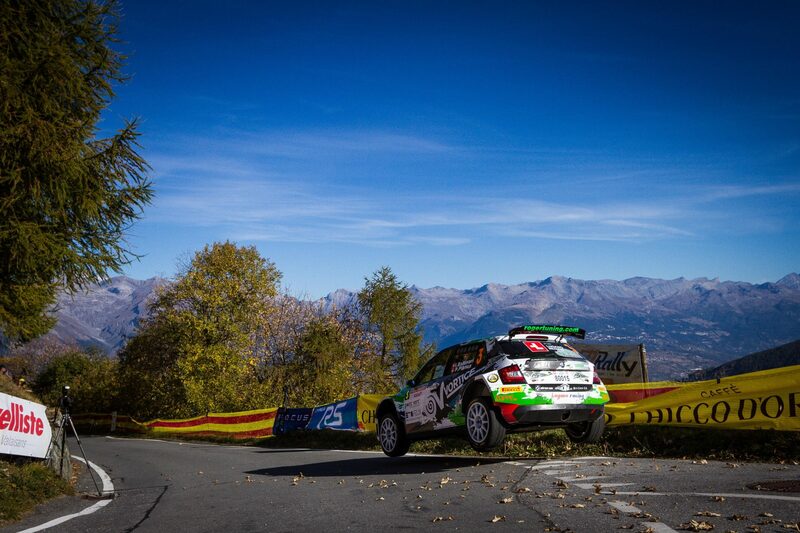 That win left Ballinari on the cusp of the title, but it still wasn’t mathematically certain going into the final round of the season, the Rallye International du Valais. This event, which takes place in and around Sion is one of the best-known on the Swiss calendar and is also a round of the Tour European Rally series, meaning it attracts a strong field. Going into this rally, Ballinari’s focus was solely on getting to the finish line and securing the points he needed to be crowned champion. As a result, he drove a fairly conservative rally as FABIA R5’s dominated proceedings once more. 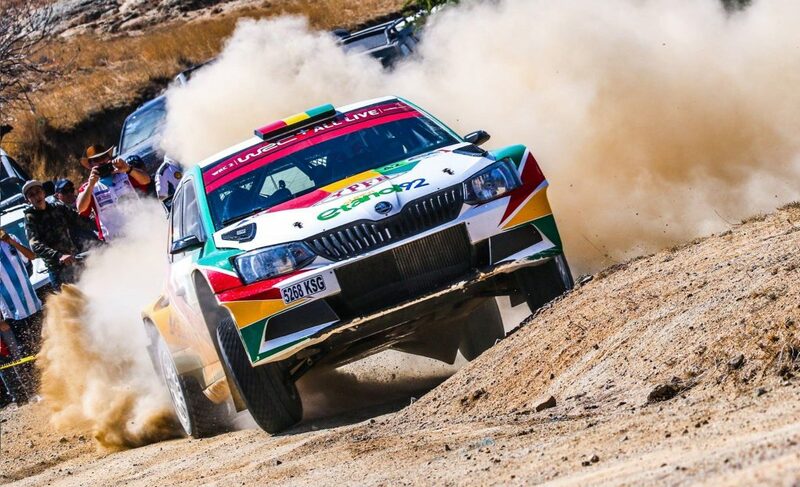 While ŠKODA filled each of the top six places in the final standings, Ballinari ended up in fifth place overall with Italian Giandomenico Basso taking overall victory. That meant he was fourth in the Swiss standings and, with both Schneeberger and Althaus finishing behind him, he had done enough to be crowned Swiss Rally Champion for the very first time, finished 32 points clear in the title standings. It was an historic victory, not least because Ballinari became the first ever driver to lead the Swiss Championship from start to finish. It was also a 21stSwiss constructors title for his team, Lugano Racing. While the retirement of Sébastien Carron earlier in the season undoubtedly opened up an opportunity, Ballinari was still up against a strong field of drivers throughout the season and need to perform to his optimum to give himself a chance. 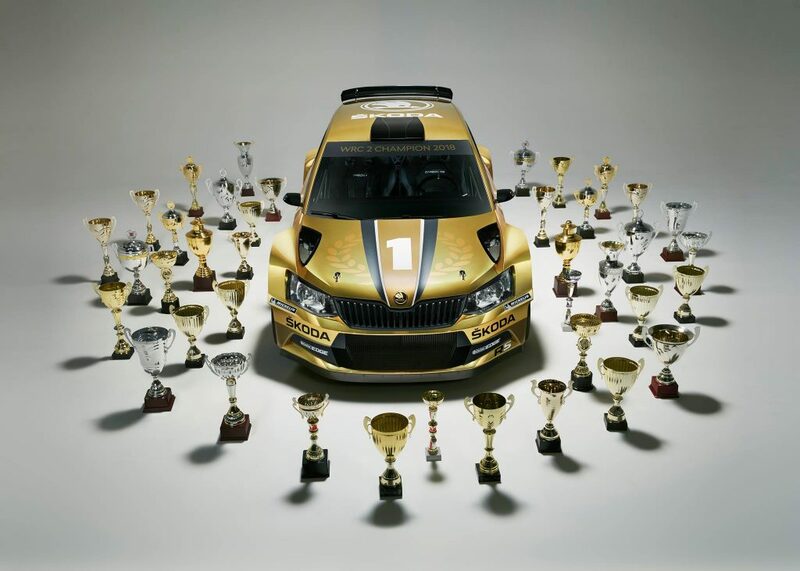 But perhaps the crucial factor in his title was the choice to drive a FABIA R5 throughout the season. It was a car that Ballinari clearly felt at home in and which gave him the edge he needed to secure his maiden Swiss Rally Championship title after eighteen years of trying.